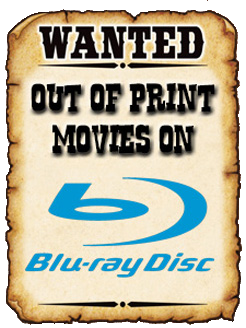 THE B-MOVIE NEWS VAULT: FENDER BENDER coming to Chiller TV this Summer! SCREAM FACTORY'S "FENDER BENDER" MAKES ITS WORLD PREMIERE ON CHILLER TV IN JUNE! It's been a while since I've had any news on this production, so imagine my surprise when I learned that the movie was completed and coming to television this Summer! About the Film: In a small New Mexico town, a 17-year-old high school girl who just got her driver's license gets into her first fender bender, innocently exchanging her personal information with an apologetic stranger. Later that stormy night, she is joined in her desolate suburban home by a couple of her school friends who try their best to make a night out of it, only to be visited by the stranger she so willingly handed all of her information to -- a terrifying and bizarre serial killer who stalks the country's endless miles of roads and streets with his old rusty car, hungrily searching for his next unsuspecting victim. FENDER BENDER premieres Friday, June 3 at 9 PM ET on CHILLER TV. Written and Directed by Mark Pavia (STEPHEN KING'S THE NIGHT FLIER), the movie stars Makenzie Vega (THE GOOD WIFE), Dre Davis (PRETTY LITTLE LIARS, SCAVENGER KILLERS), Cassidy Freeman (Smallville, Longmire) and Bill Sage (AMERICAN PSYCHO, WE ARE WHAT WE ARE). 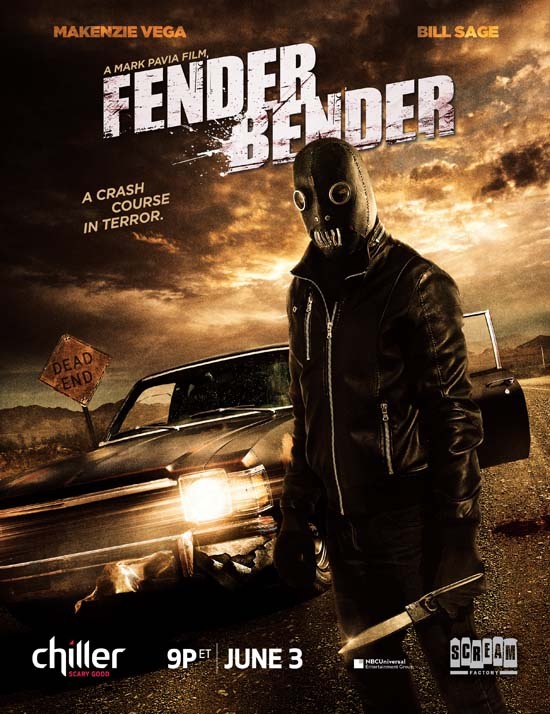 Evocative of the horror-thriller classics of yesteryear, FENDER BENDER brings you back to a time when the boxes on the shelf at your local video store beckoned you with masked, knife-wielding maniacs and a twisted sense of morals. FENDER BENDER is developed and executive produced by Shout! Factory in association with Chiller. Follow the movie on social media for more updates, and be sure to watch the teaser trailer below! UPDATE: Watch the first full official FENDER BENDER trailer, with new footage not seen in the teaser!